Adrienne Sue Bledsoe Swope, 67, passed away peacefully on Monday, December 3, 2018 in Harlingen, TX. Adrienne was born May 9, 1951 in Clinton, IN to Raymond Bledsoe and Rose Beard Bledsoe. 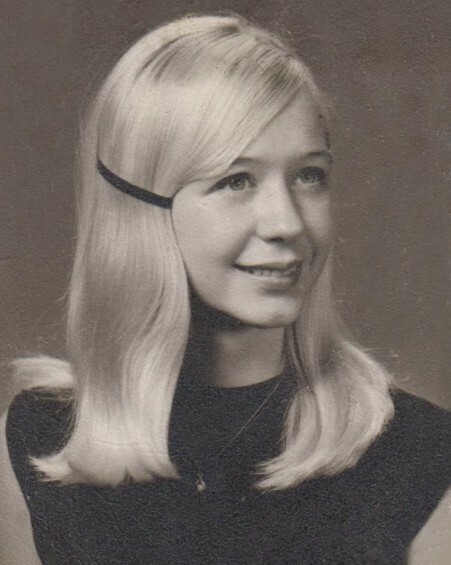 She attended Robinson High School in Robinson, ILL. She met and soon married the love of her life, Marlin "Butch" Swope on March 1, 1969. After many retail management transfers, they eventually settled in Harlingen, TX and made it their home for the past 21 years. Adrienne enjoyed relaxing at South Padre Island and being with family and friends. Over the years she would share her holiday table with anyone who was alone, because she had such a giving heart. She was loved by all who knew her. She is survived by her loving family: mother Rose Bledsoe, husband Marlin "Butch" Swope, son Stephen Swope, brother Charles Bledsoe, daughter-in-law Tammy Schmidt-Swope, and 2 grandchildren that she adored and helped to raise, Anastasia Swope and Tala Swope. Visitation will be held at the Goodwine Funeral Home in Robinson, ILL with burial to follow at the Hutsonville New Cemetery in Hutsonville, ILL at a later date. Those desiring to do so may make memorial donations to the American Cancer Society.